A modern and elegant alternative to traditional dispensers. Introducing our new modern and sleek Whish® dispenser. This dispenser will replace your traditional refillable dispensers as well as add a touch of elegance to any guest room. 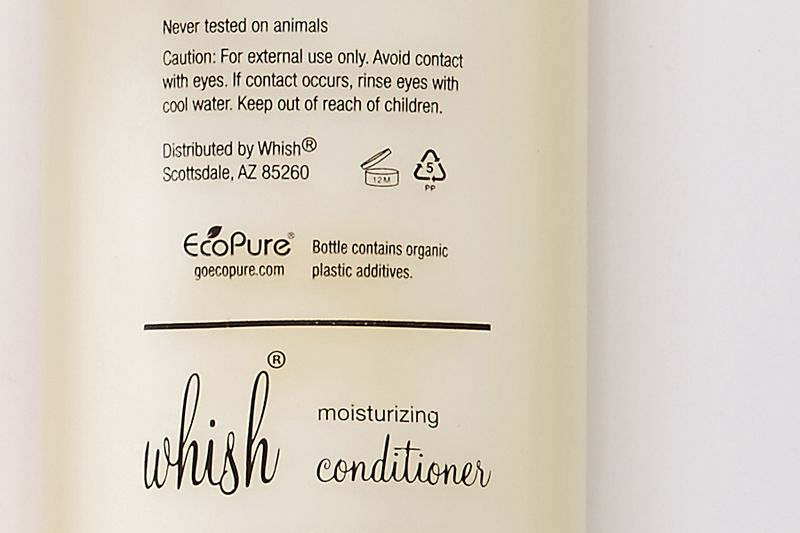 Each mount features a smooth black cover and eco-friendly recyclable cartridge containing your favorite sulfate-free signature Whish® formulas. Simple, low cost installation leaves your walls intact, unlike expensive metal brackets which are labor intensive to install and can cause damage. Reduce waste created from miniature bottles, which are commonly discarded half filled. 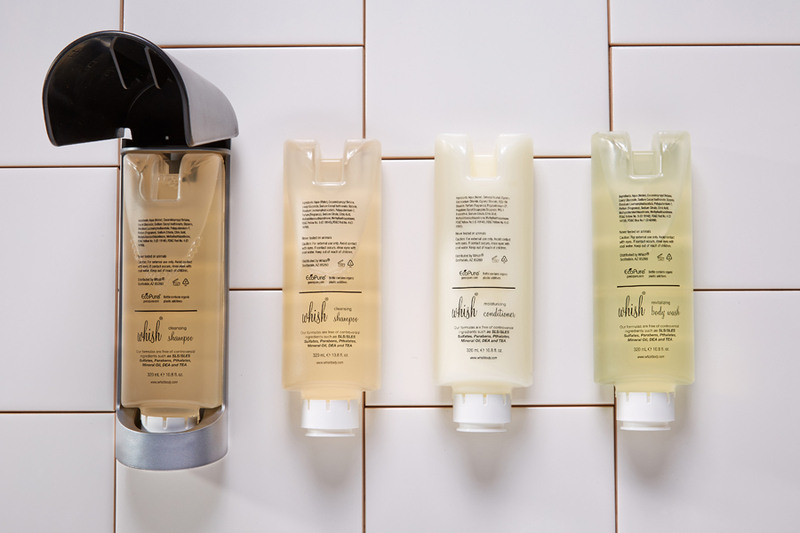 57% reduction in plastic per mL compared to a typical 30 mL bottle. Our system dispenses 0.8 mL per press, allowing you to efficiently manage guest consumption. Recyclable cartridges contain EcoPure bioadditive to accelerate biodegradation in landfills. Please visit goecopure.com. Tamper resistant, closed system allows for batch traceability and prevents contamination. 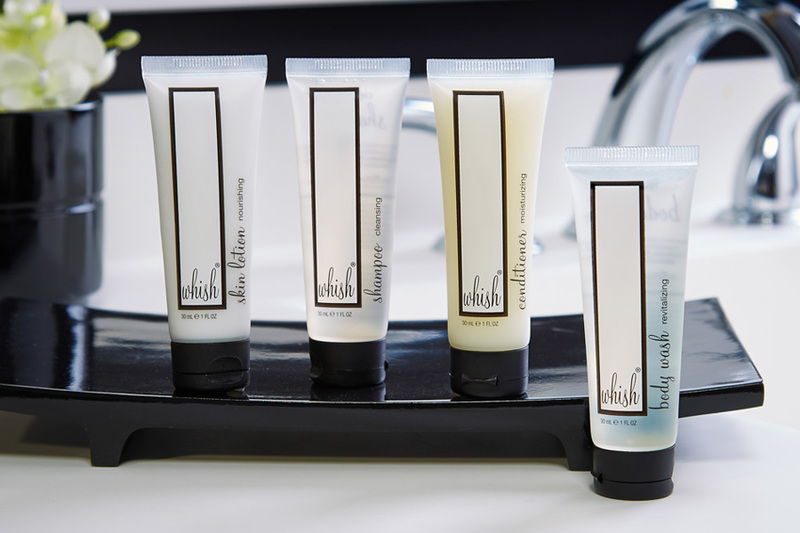 If you plan on using the Whish Dispenser in your showers, you could have coordinating amenities just steps away on your vanity. 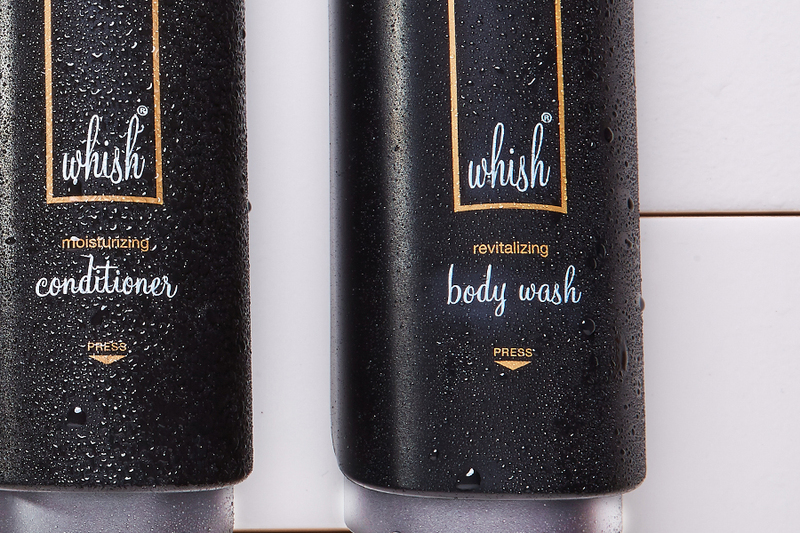 Whish is a trusted brand with user-friendly tubes and a variety of soaps and accessories. The replaceable 320 mL (10.8 fl. oz.) cartridge is easily recyclable and contains EcoPure organic bioadditive to accelerate the natural biodegradation process. Each dispenser features a locking cap mechanism to protect the cosmetic grade formulations and prevent tampering. 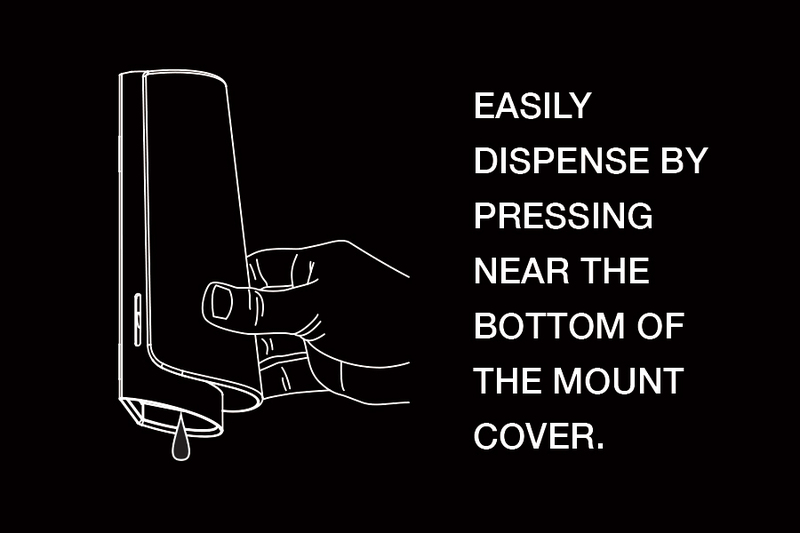 Guests can easliy dispense liquids by simply pressing on the mount cover. Want your logo on the Whish® Dispenser? 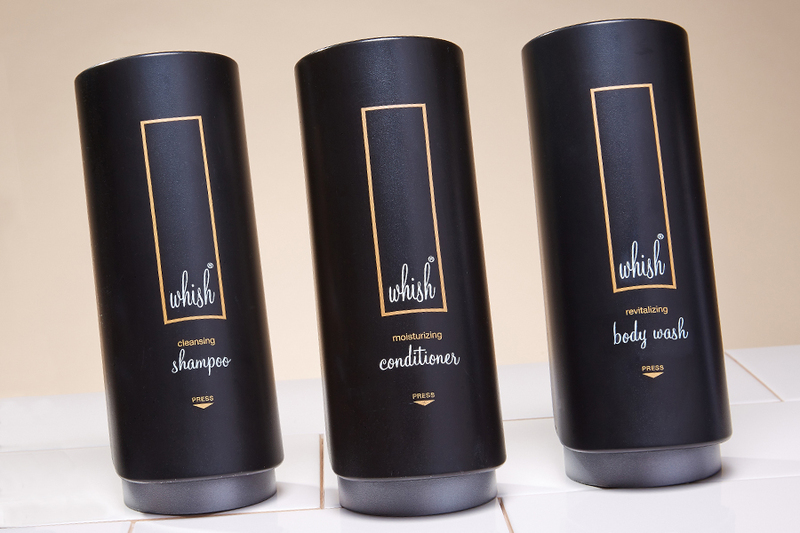 The Whish® Dispenser Bottle is available in both branded and custom private label designs. Select from our array of branded products or choose to display your property logo on the Whish® dispenser.